Security Memetics: How Many Anti's Are There Now? 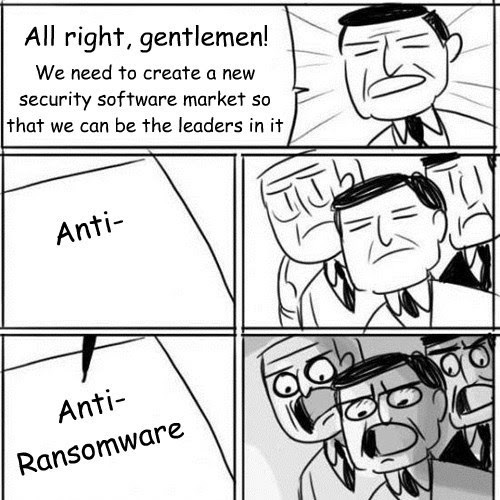 If you've been paying attention to the malware domain long enough, you know this pattern all too well. A new threat emerges that existing defenses aren't handling all that well and everyone and their grandmother tries to differentiate themselves by releasing a standalone tool for just that sort of thing, only to have it later absorbed into anti-malware and internet security suites (where it belonged all along). Spyware was an early example, and ransomware is bound to be the latest (if it hasn't started already).